Discovered as a feral mutant prowling the wilds, recruited as a covert operative by a secret government agency, destined to pursue a dream of peaceful coexistence between man and mutant; witness the birth of Wolverine as the man called Logan makes his journey from animalistic wilding to beloved X Man. Wolverine Season One attempts to tell the origin of Wolverine in a competent and interesting way. It succeeds in giving a fascinating look at the X Man and his background. While it doesn’t explain Wolverine’s full backstory it does show how he escapes from the wild and is eventually trained for the X Men. It cleverly uses flashbacks to show us snippets of Wolverine’s past without giving too much away (unlike that great masterpiece of cinema, X Men Origins: Wolverine). This keeps the audience intrigued throughout and doesn’t mean that we simply get a boring over revealing story of Wolverine’s life which leaves the character with no mystery (like that film I just mentioned). There are some issues with the story however; Wolverine’s strange rivalry with James Hudson over his wife Heather comes out of nowhere. It only seems to start because the writers wanted to create some tension between the three main characters. This wasn’t really necessary as due to the way the story is written it makes Heather seem a bit of a double crosser. James has valid points throughout the story about Wolverine going back to violent basic instincts and that he maybe isn’t cut out to be a soldier. Wolverine himself agrees with James yet Heather for some unknown reason won’t admit that he might not be cut out for that type of work. Heather’s point, warped though it is throughout the story, is about helping Wolverine using his powers for good. This is a good and valid reason to help him but because the writers want to create tension within the main three characters it comes off as a bit bonkers. The art is great with Salva Espin doing some great work bringing both Wolverine and The Hulk to life. Heather doesn’t suffer from being badly drawn either (a common complaint in comic books in regards to female characters) and everyone else is nicely drawn enough. 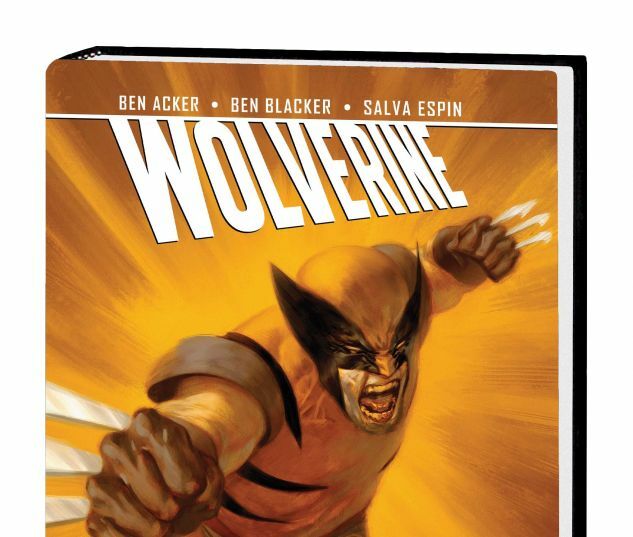 All in all Wolverine: Season One is a nice place to jump on if you want to start reading about the adventures of Wolverine and his friends, it is fast, pacey and has fairly good artwork. Highly recommended.